BASED ON A TRUE STORY 1885. Anne Stanbury. Committed to a lunatic asylum, having been deemed insane and therefore unfit to stand trial for the crime of which she is indicted. But is all as it seems? Edgar Stanbury. The grieving husband and father who is torn between helping his confined wife recover her sanity and seeking revenge on the woman who ruined his life. Dr George Savage. The well-respected psychiatrist and chief medical officer of Bethlem Royal Hospital. Ultimately, he holds Anne’s future wholly in his hands. 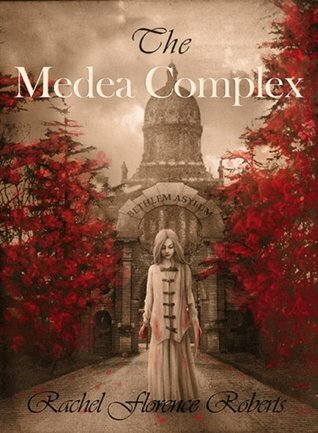 I feel very honored to have been contacted by the author of this novel and was given a Kindle copy of The Medea Complex to read and review it. I found the story behind the novel fascinating and maybe even a bit more knowing that it was based on a true story. An interesting story that early on comes with a lot of questions that you want to read your way to the answers to. There were aspects of this book that I really liked, but there were also some that just was not my cup of tea. The parts I really liked was the way that it shifted from the different people in the story’s point of view. It gave it more of a range and mystery. I had a little trouble with some of the language that felt out of place for the time in which the story is set. And when some of the big answers came at the end I found it a bit out of place with the thoughts of the characters from the beginning of it. I think it would have benefitted from being written in third person and not first person. But all in all I found the story entertaining and different!